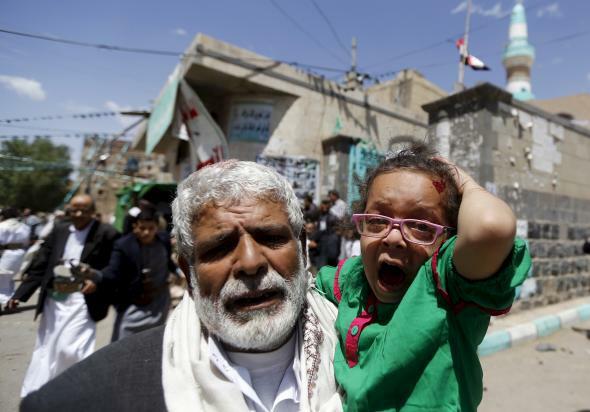 ISIS mosque bombings, Yemen: Houthis attacked. A young girl is carried out of a mosque that was attacked. The group posted an online statement saying that five suicide bombers carried out what it described as a “blessed operation” against the “dens of the Shiites.” The bombers attacked the Badr and al-Hashoosh mosques, located across town from each other, during midday Friday prayers.